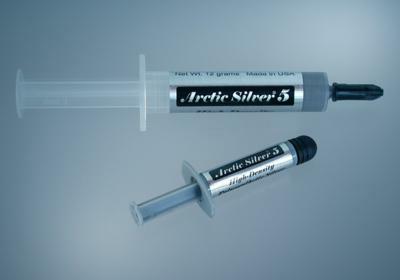 With its unique high-density filling of micronized silver and enhanced thermally conductive ceramic particles, Arctic Silver 5 provides a new level of performance and stability. Available at Arctic Silver resellers worldwide. Arctic Silver 5 is the reference premium thermal compound.